Designed for the entry-level player, the Sabian B8X Super Cymbal Package sets the standard for quality cymbals. These fully hammered and totally lathed B8's deliver the tone and value of Sabian bronze quality, boasting bright, focused and penetrating sounds. 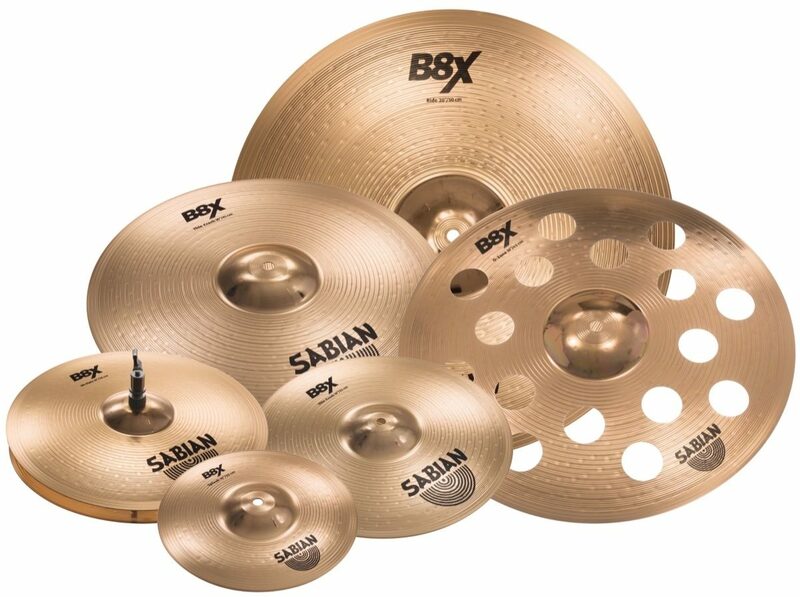 The Sabian B8 Super Cymbal Package includes 10" Splash, 14" Hats, 14" Thin-Crash, 16" Thin-Crash, 18" O-zone Crash, and 20" Ride. - Splash: 10" - Accents with extremely fast, bright, and punchy high-end cut. - Hi-hats: 14" - Crisp and lively stick and pedal response and are very bright and definite, clean and penetrating. - Thin crash: 16" - Full, penetrating response, and is bright and loud, exploding with an upward pitch gain for maximum impact. - Ride: 20" - Crisp stick definition, a cutting bell, and a bright tonal response blend to create a smooth, versatile ride. Overall: This is a super pack from zZounds, I plan to order this pack again for the second time. I love to refit tired drum kits and this is an excellent pack to replace old ones. Style of Music: Im into rock, metal, R+B older country. Overall: i have only used my cymbals for a few gigs and they are already warped. 35 of 45 people (77.78%) found this review helpful. Did you?